Boca Raton FC dressed only 14 players due to injuries and other absences Friday at Trinity Preparatory School in Winter Park against high-flying Kraze United. The team was forced to give NPSL debuts to three players due to the lack of available players. 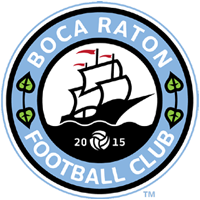 Giovani DiMauro, making his first NPSL start of the season, struck twice and Junior Prevalus had a hand in all three Boca Raton goals as the team fell just short by a 4-3 scoreline. The win puts Kraze United four points clear in third place in the NPSL Sunshine Conference. The Sunshine Conference unlike most NPSL divisions awards its champion via a league table and based on the current standings that contest will come down to Miami Fusion and Miami United. Kraze United took an early lead in the 10th minute on a well-worked attacking move finished by David McBroom. But following the opening goal, Boca Raton became comfortable in midfield and Prevalus equaled the score in minute 21 following a beautiful attacking move and cross by Mark Voisin. Nine minutes later Boca Raton took the lead as DiMauro got on the end of a Prevalus ball. However minutes later Kraze United equalized when Justin Wilbanks was deemed to have fouled McBroom in the area. The call was controversial and Boca Raton Goalkeeper Leonardo Tavares guessed right on the ensuing penalty, but Matias Pyysaio scored his third goal in two matches for Kraze United with a perfect strike in the bottom corner of the near post. Pyysaio was serving as captain for his club in the absence of Ryan Sandidge who was serving a one game suspension for yellow card accumulation. Joe O’Sullivan gave Kraze United a 3-2 lead before halftime taking a well crossed ball from Kevin Rockwell and beating Tavares. Boca Raton came out the stronger side in the opening minutes of the second half. Prevalus set up DiMauro again in minute 47 to equalize the match at 3-3 and BCFC had several chances to take the lead in the next ten minutes but could not beat Kraze Goalkeeper Phil D’Amico. Prevalus was particularly active finding pockets of space in the Kraze area and linking up well with Voisin, DiMauro and Shadi Harb. However, Boca Raton would fall victim to a counter attack in minute 70 when O’Sullivan beat a high defensive line and forced Tavares way out of his area. Beating the keeper and having just two retreating BCFC defenders to glide the ball past, O’Sullivan calmly slotted the chance home for the winner. Boca Raton’s Jason McGuire, Matheus Norder and William Passwater all made their NPSL season debuts in this match. BCFC is back in action Sunday in an APSL playoff clash against familiar foe Miami United. Kickoff is set for 8pm ET at Tropical Park in Miami.